FOAL YARD FURNITURE - Website of foalyardkitchens! 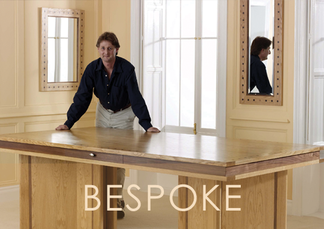 We are an experienced team of designers and cabinetmakers established in 1979, who offer two choices. Jeremy combines thirty five years of furniture design and cabinet making for well respected clients such as Liberty, Rolls Royce and Wedgewood. Clients include The Federal Courts of Appeal in Washington and the private collections of Keith Floyd, David Mellor, Ken Stradling and many others. His experience has enabled him to see through the ever changing fashions, giving his furniture practical simplicity and timeless endurance. Design and craftsmanship are at the heart of the Foal Yard's “hands on, quality focused philosophy”. Our studio is devoted to exploring new designs that can be produced combining traditional hand finishing and state of the art wood machining techniques. This enables us to provide a permanent range of furniture that is both practical as well as visually exciting.